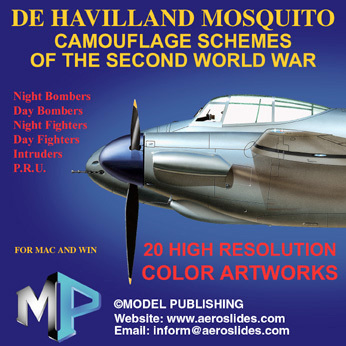 Aeroslides has formed their own publishing house (Model Publishing) and have produced a CD of artwork (available late February 2001) from the book 'Aero Detail #23'. The CD contains a total of 20 images (see below for a full listing), all at 5550x2065 pixels resolution in .TIF format. An accompanying PDF file contains a complete listing of the images on the CD along with further details of the colour schemes in each case. Click on the images below to view low resolution versions of some of the images available on the CD. 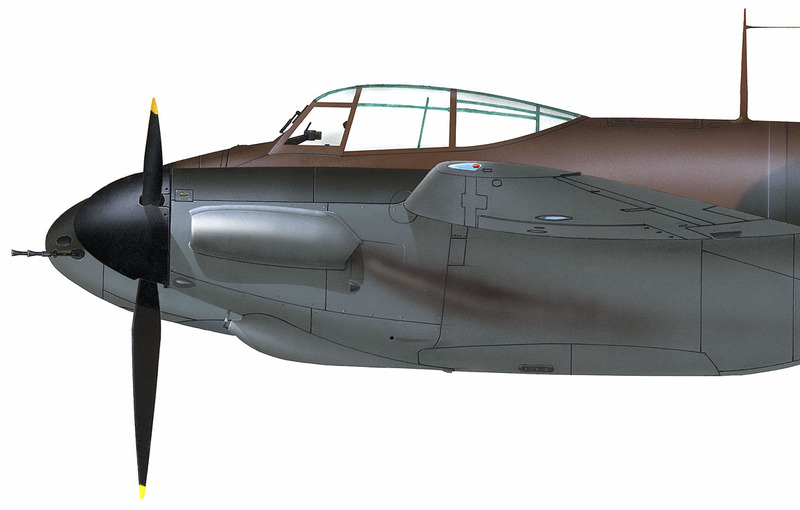 P.R.Mk.I, W4051, "LY-U", No.1 P.R.U. 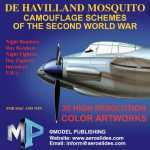 For further information regarding the CD 'de Havilland Mosquito Camouflage Schemes of the Second World War' please visit the Aeroslides website, or e-mail inform@aeroslides.com.